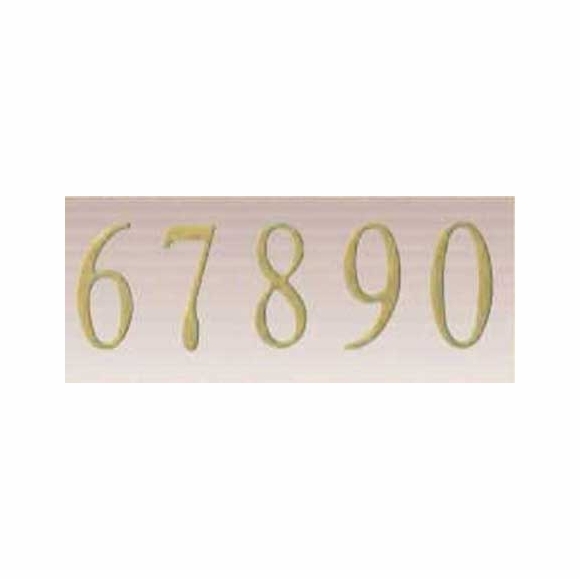 Self Adhesive 2" House Numbers Polished Brass Color - - exterior grade 1/8" thick self-adhesive numbers to personalize a curbside mailbox topper plaque with your address. These numbers fit the mailbox topper plaque shown at the top of Related Products. Also suitable for general use wherever you need durable 2" numbers. Be sure to order two complete sets of numbers so your address can be seen from both directions. See Related Products for additional individual numbers in various sizes, colors, and styles.